Japan is famous around the world for their sushi, sneaky and awesome ninjas, and incredible manga or anime stories. But, more than these, the country also takes pride in their unique and very famous Japanese dog breeds. In fact, the most famous pooch on the internet, Kabosu, belongs to the Shiba Inu breed that originates from Japan. It was back in the year 2003 when Japan experienced a pet boom. In the eyes of the people of Japan at least, dogs have quickly become a realistic and viable substitute to raising a kid. From 2003, the combined number of dogs and cats has even managed to outnumber the number of kids in the country. This gap continues to increase as more and more pets are being introduced every single year. The ever-increasing popularity of Japanese dogs is definitely real and this is very much undeniable right now. If you are planning to add a pup to your family or you need a fluffy companion, check out this Japanese dog breeds list to get a good idea of the available options for you to choose from. Topping the list of any Japanese dog breeds list is none other than the Shiba Inu. This is not really a big surprise considering that the Shiba Inu is the world’s most popular Japanese canine breed. The Shiba is best known for being the inspiration for one of the internet’s biggest and long-standing jokes. The breed is also responsible for most doge memes you can find online. The Shiba Inu is an agile and petite Japanese pooch that originates from the mountainous places of the country. But, thanks to their overwhelming popularity, you can now see Shiba Inus in almost every corner of the planet. 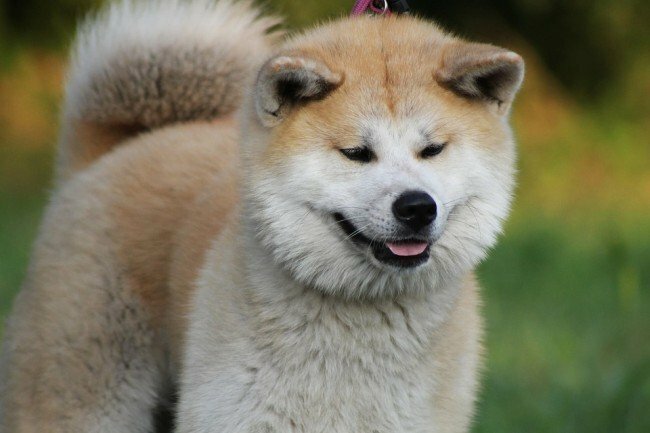 They are often mistaken for other Japanese pups of the same looks, such as the Akita Inu and Hokkaido Inu. But, Shiba Inus are relatively smaller with a unique bloodline. Shibas exude a sense of independence similar to cats. It explains why they have the tendency to get along well with felines but not that much with young kids or other small pups. But, rest assured that they can be civil with their interactions with others provided that they get a bit of training and early socialization. 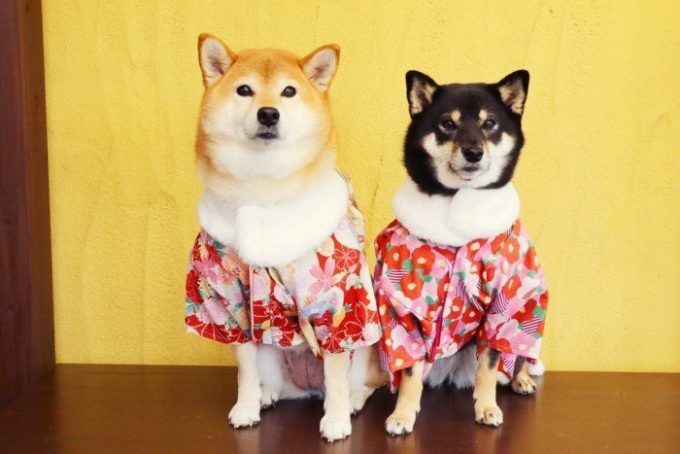 These Japanese canines have a bold spirit and their personality has a particular good nature. Their intelligence can be considered as average compared to other breeds of Japanese dogs. But, the good news is that housebreaking them is very easy and sometimes, they can even housebreak themselves. The breed also has a very distinguishable high pitched scream usually referred to as the Shiba Scream. This can be heard when you try to handle the pooch in an unpleasant and harmful way. But, there are also instances when a similar cry can be heard when they are very joyful and happy. 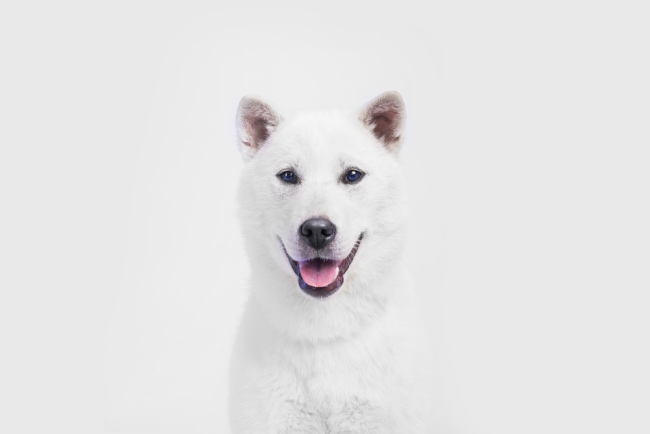 A pure Japanese dog breed, the Akita Inu’s history dates back to being a companion for humans since 3,000 years ago, with its wild ancestry possibly extending much further. This powerful and beautiful dog is a great companion used for different purposes like guard dogs, bear hunting, and other outdoor pursuits. These days, the Akita Inu has become a family dog and a therapy dog for people with mental health problems or anxiety. But, it still retains its fierce lineage that makes it a dependable and intelligent working canine if needed. 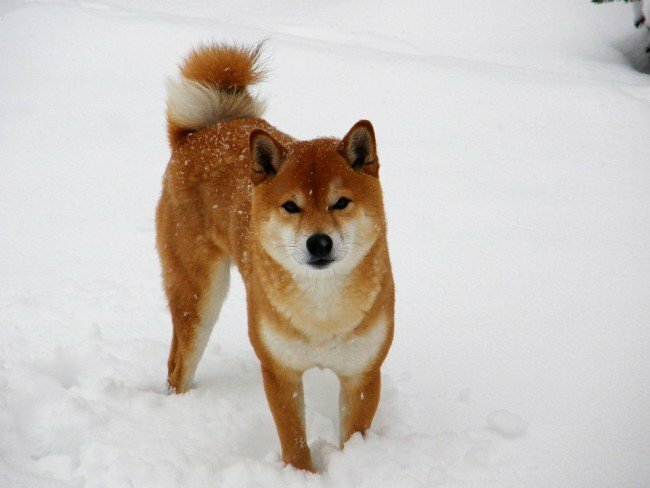 The fierceness of the Akita Inu is partly because of their breeding. These Japanese dogs are often used for hunting where they corner bears and keep them at bat while waiting for the hunter to come and kill the prey. Any canine that can easily hold down and trap a bear can be very intimidating. This makes the Akita Inu dominant in most instances, so you have to socialize them early on to play well with people and other dogs. The Akita Inus can also be very loyal willing to defend when their family if ever they feel threatened. This breed is also very good with children, particularly with early socialization. However, just like other canines, it is not advisable to leave them with young kids unattended. The history of the Akita Inu is a very interesting one albeit there are a few dark parts on it. Some areas of Japan were hit with famine during World War II and some people ate the canines for survival. The government has also ordered the culling of the canines to prevent the disease from spreading. There were also some that were released back to the wilderness where they probably bred with the ancestors that probably bred back in some of their notable willfulness. But, the Akita Inus managed to survive and the breed snagged the hearts of some few American military personnel. 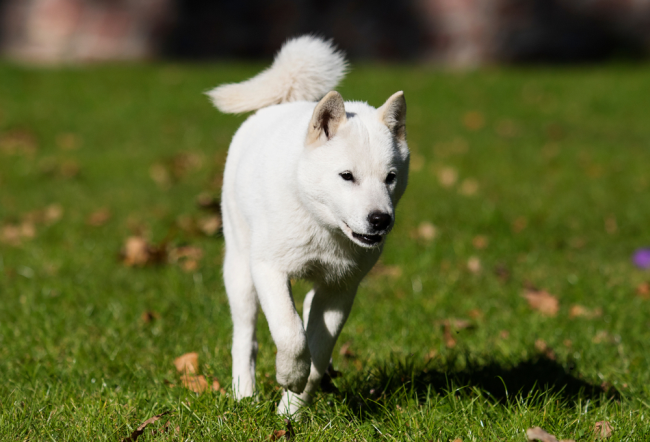 It paved the way to the early beginnings of the so-called American Akita breed which many kennel clubs have distinguished between this new breed and the original Inu, the Japanese term for a dog. This small Japanese dog originates from the family of spitz. In general, the Japanese spitz dog is considered as companion canines with a close relationship with the American Eskimo dog, Samoyed dog, and the white Pomeranian. It was during the 1920s when the Japanese Spits were created in Japan where breeders started to breed different kinds of spitz canine breeds. Right now, they are recognized by all major international kennel clubs aside from the AKC. From then on, they have become popular because they caring for them is easy and they also have the favorable temperament. Despite their long fluffy hair, dirt, debris, and other junks don’t easily stick to the coat of this breed. 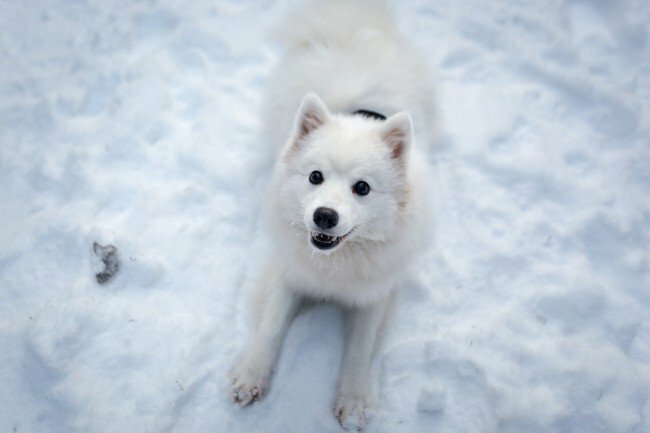 The Japanese Spitz can easily flourish if they become a part of a family-oriented environment. This Japanese dog is very kind, and they have immense loyalty and love for their owners. Due to their endless devotion, they are surprisingly fantastic watch dogs for any family. When confronted with strangers or unfamiliar people, they will warn the family right away by barking. They also play well with kids and are ideal companion pooches for elders. It is easy to fall in love with this popular Japanese dog and your love will surely be reciprocated. Considering all of these, it is not really surprising why the Japanese Spitz is very popular these days. The Shikoku Inu originally came from an island of a similar name. Back in the days, they were used for hunting large preys like deer or wild boar. This Japanese dog breed has three varieties namely the Hata, Hongawa, and Awa. 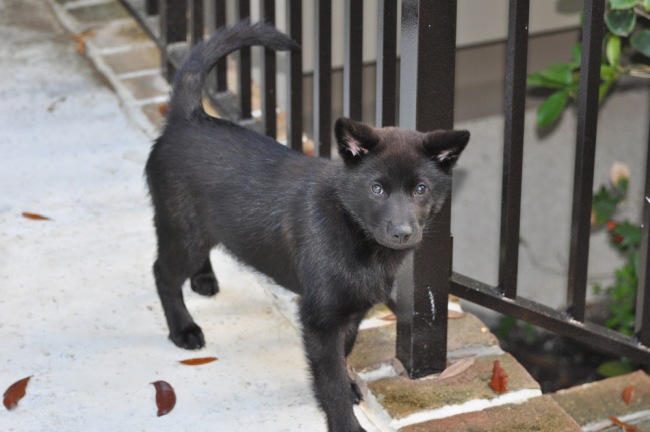 Its appearance is very similar to the Shiba Inu but it is noticeably bigger. This is the reason why this belongs to the medium-sized canine breed category. The Shikoku Inu is also called the Japanese Wolfdog sometimes and if you will take a look at its lupine features, it is easy to understand why. In some cultures, this was bred similar to Deerhunter dogs but some owners and breeders take the canines out to hunt wild boars to keep their skills sharp. This pooch is very brave and loyal that makes it a fantastic companion dog. You can socialize the breed as well and a patient owner can easily tame its wilder nature. The agility of Shikoku Inu makes it suitable for going out into the wilderness. These dogs have great energy and would also protect you in a dangerous situation. Their similarity to huskies and wolves could make it close in ancestry to a Japanese wolf, which is extinct already. Sometimes, Japanese Chin is referred to as Japanese Spaniel. This Japanese dog breed has a history of Japanese nobility, which makes them famous among Japanese aristocrats. 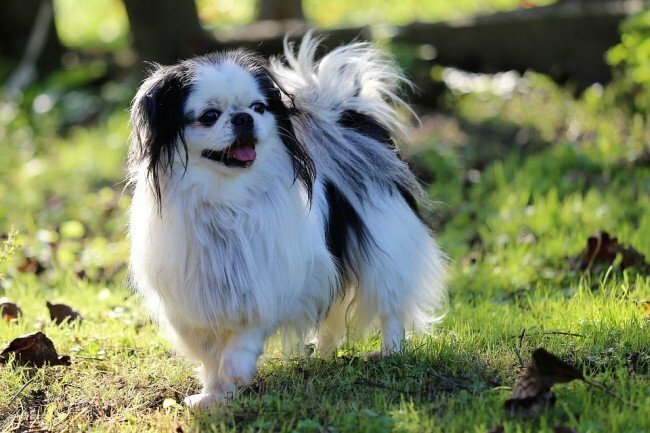 Even if these dogs were named as Japanese Chin, they aren’t native to the said country. Historians are having a hard time to agree on where they came from as well as when they arrived. Others believe that Chins were given as a gift to Japan from Korean rulers in AD 732. Some think they might have been given to Japan’s Empress in the 6th century. But, others believe that they were, as a matter of fact, the native Chinese dog breed. Nobody knows where and when exactly for certain. Chins are unique due to their crossed eyes, which are referred to as strabismus. Majority of dog breeds have 2 kinds of coat, the under and overcoat. But, Japanese Chins only have the undercoat that can take two years to grow completely. Once it does, the coat is either white and black or white and red. The reason why this Japanese dog breed is popular is that it is a cat-like dog. For instance, these dogs use their pawns when cleaning their face and they have a great sense of balance like the cats. Moreover, Chins are alert, independent, and intelligent dogs. Like many Japanese dogs, Chins are friendly and loyal to their family and owners. Generally, they’re friendly and make good therapy or companion dogs. Hokkaido Inu is a medium-sized, strong dog with a robust form and rectilinear shape. While it’s a Japanese dog, there’s a possibility that it originated from the country of China 3,000 years ago. They have beautiful pointed ears with angular look thanks to their angled eyes and triangular shaped heads. Like most Japanese dog breeds, Hokkaido Inu may come in numerous colors and has a double coat, typically ranging from red to white or grey. The double coat of this dog helps it survive in a serious cold weather. Yet, underneath lies durable musculature that aided in the hunting of big animals historically like bears. 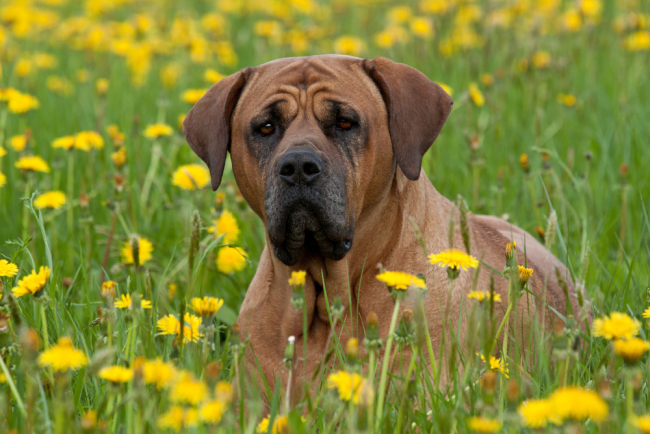 Like the golden rule, they’re durable with some health issues, especially congenital problems that could plague some breeds. 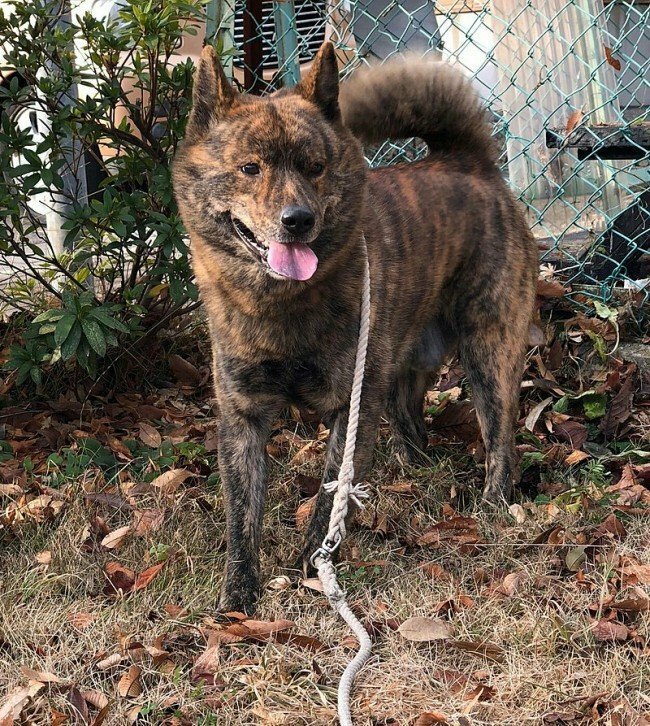 Hokkaido Inus are active dogs and won’t be suited to home living or sedentary. They might require daily walks or at least have a big open space to exercise on their own. They can also put on weight relatively easy that can result in poor health. Ideally, they must weigh somewhere between twenty and thirty kilos. The breed’s most common color is beige, yet they can be present in a chromatic range. There are times Kishu Ken is referred to as Kishu Inu, which is considered as one of oldest Japanese dog breeds. They have been breed in the country for years. The breed’s name originates from old Kishu region, which is called Wakayama prefecture. Like other 6 native Japanese dog breeds, Kishu was bred originally for hunting boars and deer. Rather than barking to intimidate prey, they stalk them cautiously and carefully in their hunt. They resemble Hokkaido regarding physical traits. However, their temperament is frequently said to be more like Shiba Inu. Kishu Kens are said to be brave and courageous, which make them good hunting dogs. They are also considered as quiet dog breed and can get along with other dogs and cats. But, this is only possible if this dog was socialized properly as a puppy. Kishus are loyal to their family and great with young kids within the family. These dogs are also very observant and want to keep an eye on the things from high grounds, which make them good watch dogs. Nevertheless, the strong-willed and dominant dogs, making it necessary for training as puppies. When compared to some ancient dogs, Tosa Inu’s history is short. It originates from cross-breeding, which involved breeds like St. Bernard and Argentine Bulldog. As most Japanese dog breeds tend to be a medium-sized dog, Tosa was bred to be a more prominent option. They have a shorter coat compared to the majority of Japanese dog breeds. The head of these dogs is square shape and stocky typically with a longer snout. In spite of such dissimilarities, the dog’s temperament perfectly fits well with some Japanese dog breeds. They started from Shikoku Inu breed with similar intelligence, bravery, and loyalty. This breeding also has a Mastiff history, giving it familiar features. It’s believed that this dog was bred originally as a Japanese fighting dog because of its fierce nature. This isn’t to say that it can’t be domesticated or be a friendly and lovely companion dog. It’s to say that if it doesn’t have the right training and environment, it’ll have behavioral issues. Because of this, Tosa Inu was banned in some countries with exceptions to those who are licensed owners. 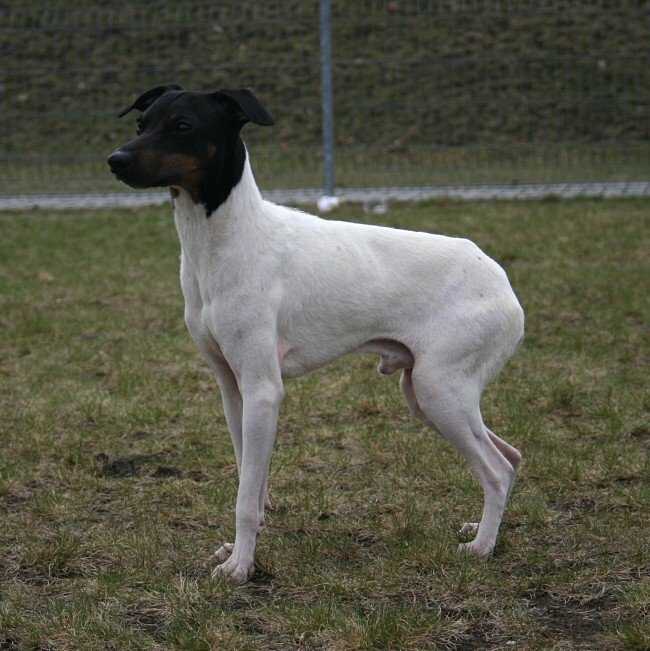 Japanese Terriers are frequently referred to as Nippon Terriers. They are classified as small dogs, which originate from Japan. Numerous locals believe that this Japanese dog breed was discovered through breeding of pointers, fox terriers, and some indigenous Japanese dog breeds. Even if these are amazing dogs, Japanese terriers are rare breed even in the country of Japan. Many historians believe that this terrier’s ancestors were brought to Japan by Dutch merchant ships at Nagasaki port. Even at present, there’s no concrete evidence to prove this theory. As of now, they are not recognized by AKC or American Kennel Club. They are only recognized by the United Kennel Club and Japanese Kennel Club. These terrier dogs were bred for a sole purpose and it’s to be petted. In short, they are great lap dogs. They are also described as lovely dogs with lively temperament or attitude and cheerful personality. Such dogs are ideal as family pets since that is what they are intended for. If you are searching for an attentive watchdog or skilled hunting dog, Japanese Terriers might not be for you. But instead, try searching a dog breed from native Japanese dog breeds. It originated from what was known as Kai province and it’s considered as one of the striking Japanese dog breeds. Kai Ken is an amazing hunter and almost have a look of a wolf. Its common brindle coloring provides this do a wild look. These dogs develop as they grow. Known for their square-shaped head than Akitas, they still have similarities. They are muscular and tone, which makes them very agile show dogs if you like them to be. Originally, Kai Ken was bred as hunters. For this reason, this dog is intelligent and brave. The strong bonds these dogs develop with their master can be problematic when it comes to socialization, yet they can be the best companion dogs once trained properly. These dogs are good at learning some tricks and should be taken out a lot of expending their inexhaustible energy. Kai Ken is also double coated. However, it does not require lots of grooming or brushing for maintenance. Grooming Kai Ken once a week is enough.